Our novices and postulants are pictured at the top of the page after completing the stations of the cross on Friday. Fr. Andrzej Sudol, SCJ, postulant director, is on the far right. The novices include Kodjovi “Hubert” Liassidji, John Huan Nguyen and Angel Romero. Postulatants: Thien Nguyen (VIE), Thuan Nguyen (VIE), Hung Pham and Truc Tran (VIE). Fr. 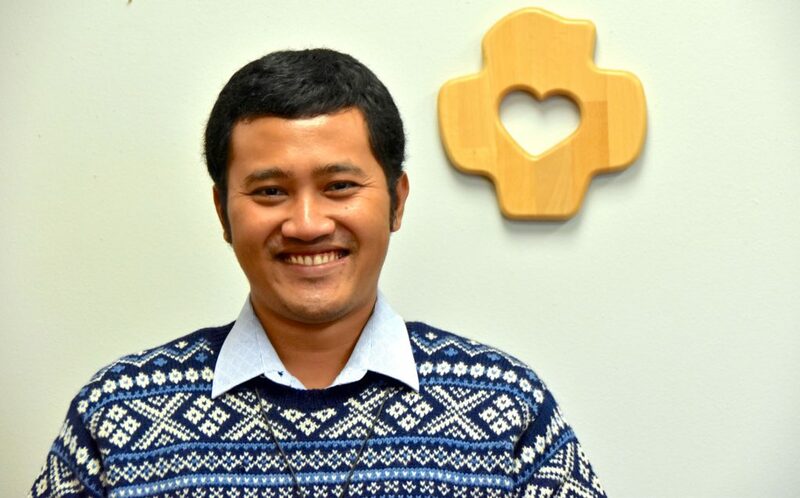 Hendrik Ardianto, SCJ, a member of the Indonesian Province, arrived in Hales Corners last week. Currently he is a student with the ECS Program (English and Cultural Studies; formerly ESL) at Sacred Heart Seminary and School of Theology; it is hoped that he will be able to join in ministry in the US Province following his studies. Fr. Hendrik is 28, has been in vows for nine years and was ordained to the priesthood in 2018. One of his “small world” connections to the US Province is Fr. Tom Fix, an American SCJ who ministered in Indonesia for many years. When Fr. Hendrik was a young seminarian Fr. Tom was his spiritual director. Fr. Hendrik’s contact information has been added to the online personnel directory in the Members section of the province website, as well as the recently updated PDF of the directory. There is both a high resolution and low res version of the directory. The low res is appropriate for use on computers and mobile devices. Store it on a smartphone as you would an electronic book for a quickly accessible directory. A reminder: the directory is a password-protected area of the site. SCJs who need assistance accessing it can click here. Polo shirts, that is. We have a few polo shirts with the “Open and Heart and Mind” logo leftover from last year’s Election Assembly. Sizes available include small, medium, 2XL and 3XL. There are NO large or XL shirts left. They are white with a red logo and “Dehonians” is written in script on the back of the collar. The shirts are available to SCJs, novices and candidates (including those in the ECS program at SHSST). If you’d like a shirt, click here to contact Mary Gorski or call 414-427-4266. The shirts are first-come, first-served until they are gone. +Br. Giovanni Battista Tapparo, a member of the North Italian Province, died on March 27. He was born in 1932 and professed in 1951. + Fr. Fortunato Zambetti, also from the North Italian Province, died on March 29. He was born in 1936, professed in 1954 and ordained in 1964. “I am reminded how often Fr. Bill leapt right into a friendship with someone who seemed so different from me or others I knew,” said Dn. David Nagel, SCJ, about Fr. Bill Pitcavage, SCJ, at the Funeral Mass for Fr. Bill last Monday. “What was it that made him so open to those who appeared to fall outside what I think of as normal? His embrace went out to those on the fringe whether in the SCJ community or in ministries in which he served. He did not stand in judgment of his brother or sister. Click here to read Dn. David’s full homily. 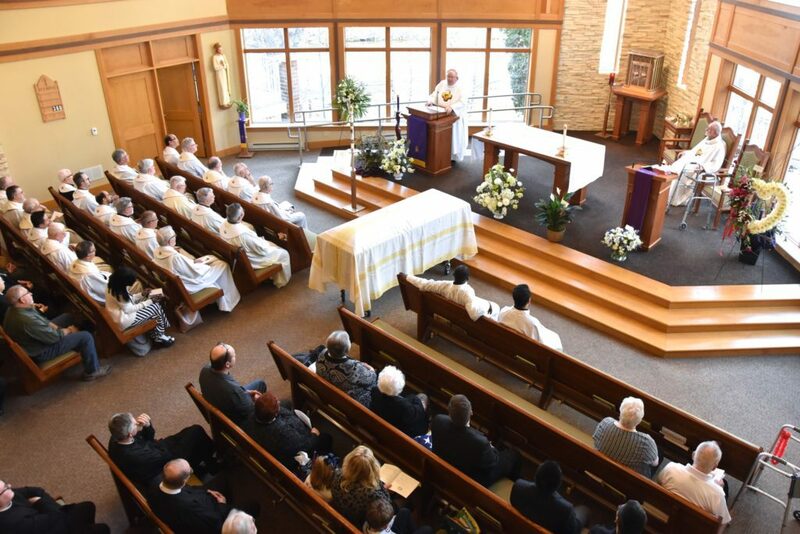 Click here to view photos from the Funeral Mass. And, click here if you would like to receive a Mass card. The Centro Studi Dehoniani (Dehon Study Center in Rome) is now on Twitter with the following name: @dehonianscsd. Don’t have a Twitter account? Click here to learn about the social network and decide if it is for you. Twitter can be viewed on computers and mobile devices. Last week Fr. Praveen Richard Kumar, SCJ, was the first speaker in the Spring Spirituality Series hosted by the Leo John Dehon Library at Sacred Heart Seminary and School of Theology. His topic: Indian spirituality. “Indian spirituality is vast and complex,” said Fr. Praveen, adding that in a 20-minute presentation he could only touch the surface of the topic. He noted that the divine experiences of people are at the root of Indian spirituality. Good actions, knowledge and devotion are integral to salvation. Click here or on the image above to view Fr. Praveen’s presentation. Next week Wednesday, April 10, Sr. Norma Pimentel, M.J., will be the keynote speaker at the Spring 2019 Dehon Lecture Series at Sacred Heart Seminary and School of Theology. The seminary is collaborating with the US Province and the North American Migration Committee to bring Sr. Norma to Sacred Heart. Sr. Norma, who spoke at the US Province Assembly in 2017, is the Executive Director of Catholic Charities of the Rio Grande Valley and has been called the “Mother Teresa of North America.” Her Dehon Lecture topic will be “Ministry with Migrants.” In the afternoon Sr. Norma will be joined by panelists who will share their personal stories as migrants, refugees and immigrants. Anyone is welcome to attend the lecture. HOWEVER, because this year’s lecture is open to the public you must RSVP. Click here to do so. The lecture will begin at 9:30 a.m.; Mass is at 11:15 a.m. and the afternoon session will go from 1:15 to 3:00 p.m. The North American Theological Commission met March 30-31 at the community house in Toronto. Those who took part: Fr. John van den Hengel, SCJ (chair), Fr. Gustave Lulendo, SCJ and Fr. Charles Brown, SCJ. Fr. Ziggy Morawiec, SCJ, is also a member of the commission but was unable to be at the meeting. 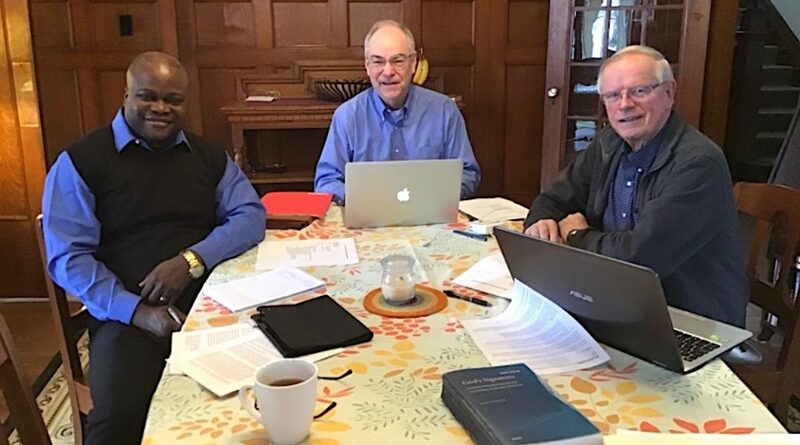 The committee spent time reviewing the activities of the International Theological Commission and the work of other SCJ theologians on the five continents. They discussed the topic of the next Dehonian Theological Seminar – “Sint Unum Today” – which will be held in Ngoya, Cameroon, in July 2020. 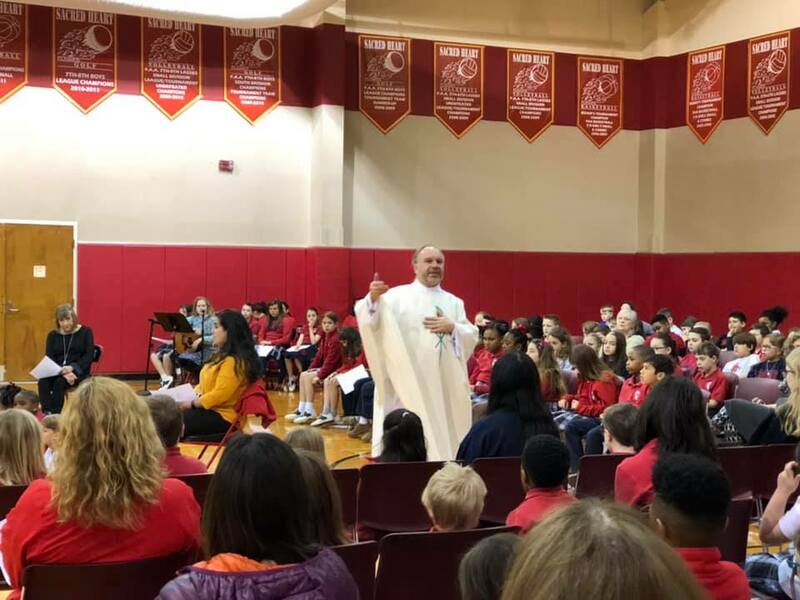 “The seminar will explore the actuality, challenges and implications of Sint Unum for the Congregation but also for a world that is increasingly marked by nationalism, racial and religious tensions, tribalism, ethnicisms, casteism, etc.,” said Fr. John. In his reflections with the International Theological Commission in December, Fr. Carlos Luis Suarez Codorniú, SCJ, superior general, suggested Sint Unum as a topic for next year’s seminar. “He asked us ‘Is Sint Unum really part of the DNA of the Congregation? '” said Fr. John. In Toronto, the NORAM committee members also reported on their individual research on the topic of “pure love” in the writings of Fr. Leo John Dehon. The commission will next meet in October. The Provincial Treasurer’s office reminds budget preparers that all budgets are due to the office by April 12. Please be mindful of the deadline so that the Finance Commission can stay on its schedule in preparation for the Provincial Council’s budget review in May. Questions? Click here to contact Kevin Stanke.